Total Built-Up Area - 1947 Sq.ft. 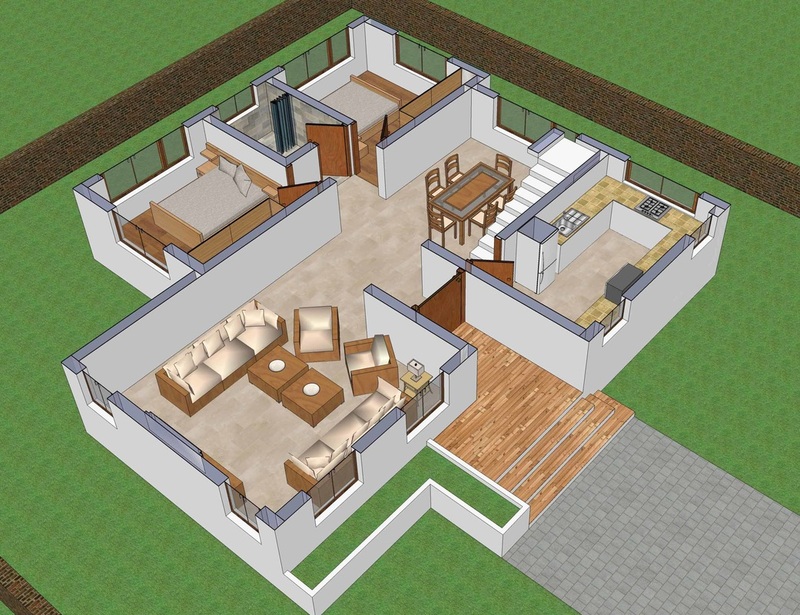 This homes floor layout is quite simple and efficient at the same moment. This 1945 Sq.ft. house is more appropriate for any square sized plot of around 40 ft. X 37 ft. From the main entrance one is lead to the massive living room area which exhibits a grand volumetric space. The area is purely dedicated for the family and guests to indulge in conversations which will not interfere with the other working spaces of the house. The spacious kitchen area also gets to have a view of the front entrance from its window. The dining area is placed next to it which also provides space for the staircase which leads to the upper floor area. Other than two bedrooms on the first floor, there is a common family space which can be used for relaxation or for casual reading purposes. Along with its there is a separate study area which is attached to a balcony for those thoughtful moments while you sip a cup of tea. Certain portion of the living room roof acts as an open to sky terrace area which can have multiple usage for the family. Maybe kite flying is your hobby or watching the clear night sky with blazing bright stars but the possibilities what an open terrace can provide is an added advantage to the house.